This post is sponsored by Time4Learning. After ringing in the new year and celebrating the holidays, you may feel a bit energized and ready for the best year yet! 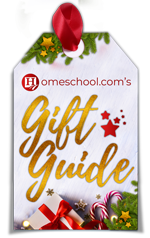 But before you start, sit back and contemplate how your homeschooling experience unfolded over the past year. Review your notes, speak with your children, and evaluate the strengths and weaknesses that have emerged. You may find that a few adjustments help maximize your children’s education and help you become a better teacher. For example, your children’s learning styles may have changed in the past year. Instead of learning through textbooks exclusively, they may like a hands-on approach that includes more lab work, outdoor activities, and educational games. Or, perhaps the “relaxed” approach you’ve been taking will be tossed aside in favor of more structure. Whatever the situation, it’s always good to step back and evaluate yourself, your children, and your homeschool methods and strategies. Children learn best at different times during the day. One child may thrive in the morning while another does his or her best work in the afternoon. Unfortunately, traditional schools don’t take that into consideration; all children must adhere to the strict schedule they’re handed. As a homeschooler, you can adjust your schedule if needed or keep it if it’s working. 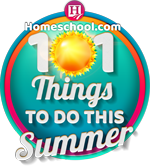 Many homeschoolers tweak their schedules a few times a year as needed. Molly, a homeschooling mom of two boys, says her children preferred studying in the afternoon as they got older. Finding the right curriculum is always challenging. Sometimes it’s like putting together a puzzle with missing pieces. In the end, it usually becomes a measured mix of a little of this and a pinch of that. 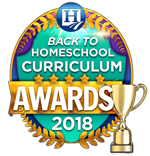 Veteran homeschoolers recommend evaluating what worked best the previous year and discarding the options that simply added stress or weren’t as effective. It’s also a good idea to explore different options, especially if your children become bored with what they’re using. There’s no homeschool curriculum shortage; a quick Google search will turn up over 70 million results! Check out a handful of those options with your children and see what they like. 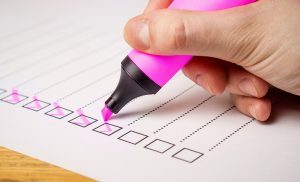 Once you find a few choices, contact the companies to see if they offer a free trial period or a money-back guarantee. Don’t bust your budget, especially if you’re not sure the curriculum will fit your students’ needs. As the school year progresses, review your goals and make adjustments accordingly. You may find that your goals are too lofty or that you’ve already reached them. Setting clear goals provides you with direction and gives your children an objective. Proper goals also help motivate children. They’ll want to reach their goals because it gives them a sense of accomplishment. Print out your goals and review them biweekly. Remember: just because you have printed your goals doesn’t mean they can’t change. It’s easy to become obsessed with achieving certain goals to the point that you lose focus of the big picture. Of course, this causes more harm than good. So, freely review and adjust your goals as the school year progresses. Exposing your children to different parts of the community will give them perspective and teach them to appreciate what they have at home. Homeschooling offers the opportunity to either integrate volunteer work into your schedule or ignore the books for just one day each week. If you haven’t already, contact a local animal kennel, homeless shelter, nursing home, or food pantry and offer to volunteer. You can also volunteer for park or beach cleanups, join a local 4H club, or help at a community garden. Speak with your children about the different opportunities and find out what interests them the most. You won’t accomplish anything new if you don’t embrace change. It may be difficult at first, especially if you’re fixated on the way you’ve always done things. George Bernard Shaw–the famous Irish playwright, critic, and political activist–once said: “Progress is impossible without change, and those who cannot change their minds cannot change anything.” With patience, spirit, and determination, you will change the things that are preventing you and your children from reaching your collective potential. The beginning of a new year is the perfect time for reviewing your total homeschooling endeavor. 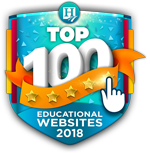 The process really sheds light on your strengths and weaknesses and gives you the opportunity to improve your children’s educational experience. Out with the old and in with the new!